I’m a fan of using checklists to improve results. Checklists are powerful tools for jogging your memory, reducing stress, and sharing know how. Fighter pilots use checklist effectively to eliminate task saturation, take away workload, and avoid forgetting something critical. Many businesses use checklists to train new hires as well as run everyday operations. In the book Flawless Execution , James D. Murphy writes about how fighter pilots use checklists to get results. Checklists help reduce task saturation. Task saturation is too much to do and not enough time. Checklists help you reduce task saturation. Checklists lower stress. 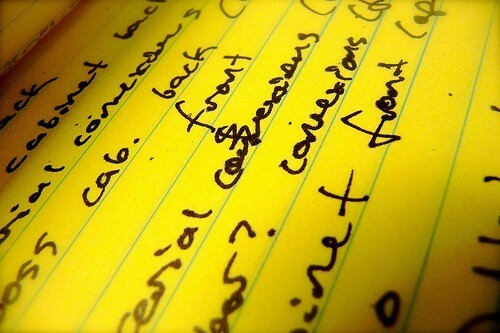 Checklists minimize forgetting something. This relieves the stress of worrying about forgetting (especially when consequences are very bad). Checklists free the mind. You don’t have to waste your prefrontal cortex on mundane things. Basically, checklists free you up to worry about higher level issues. Normal procedures and emergency procedures. Pilots have two types of checklists: normal procedures and emergency procedures. The normal procedures are how to do everyday things. The emergency procedures are for life threatening situations. Pilots have very specific emergencies that are very well researched because lives depend on a fast and accurate response. Emergency checklists seem unlikely to be useful to most people since you’ll either have time to think or the emergency happens so fast you won’t be pulling out a checklist. It depends on the context. OMG, I love checklists! Real Simple (the website) has tons of great checklists that I love to download. There are probably other great resources for this as well. As much as I love checklists, I had no idea how useful and important they really are. Great insights here! I like how checklists can help you get through the stuff you know has to happen so that your ready for the things that surprise you. Looks like an interesting read. In consulting distraction is one of the biggest obstacles – getting personally focused and getting all others into the focus is tough task, especially when working under pressure or trying to resolve production incident. 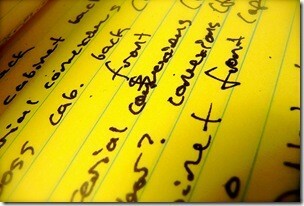 Checklists are my secret weapon to keep myself and others on track – focused on the end goal. Thanks J.D. This reminds me of a presentation BP that says that Powerpoint presentations should be more like check-list where a bullet jogs the presenters memory and serves more as a prompt than a script. Good point. I like simple slides. Either pictures or bullet points. I think of it as evocative prompts. They do free the mind, yes. I’m due to make a checklist and boy, is it gonna be a long one. I have taken on a lot with the new school year. Time to say “no” a bit more. You said it. Whenever I find myself overloaded, checklists are best remedy. Why spend my mind on routine, when I can spend it on higher level things. I hope this doesn’t come across as spammy but I thought I’d let you know that my wife and I have launched a checklist website called listbean.com. We’ve tried very hard to create an awesome checklists resource that people can use to track their own lists.